Big Boss Barbers knows how to make you feel like the big man. 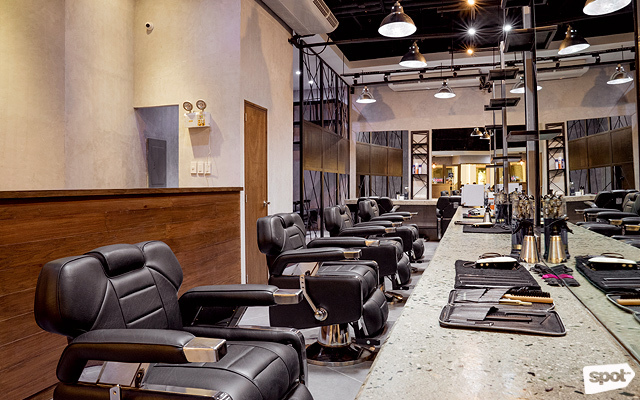 (SPOT.ph) Opening just a week before Father’s Day, Big Boss Barbers’ timing could not have been any better. 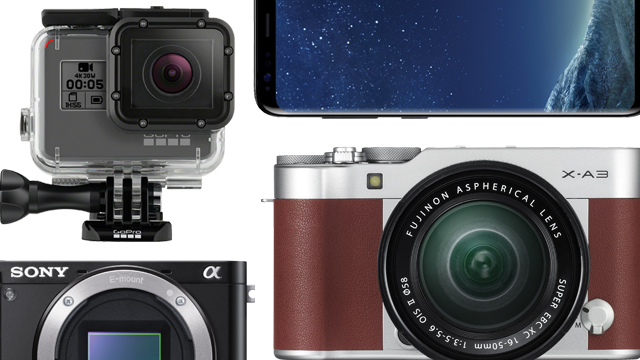 Just think of who the metaphorical “big boss” in your life is and chances are it’s your dad—which makes just as much sense because running the business is a family affair. 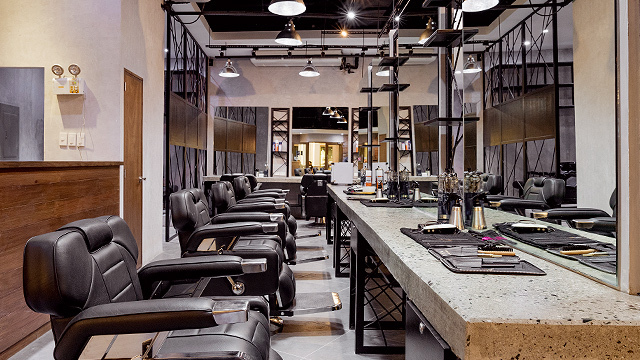 Owned by the Cincos and run by brother-and-sister duo Gerard and Gel, Big Boss Barbers had its name specifically chosen to make every man feel like the big man—a real VIP. Located on the second level of the Venice Grand Canal Mall, the space will easily catch your eye from the outside, thanks to its large windows. You’ll see a long strip of mirrors lined with barber’s chairs on both sides and brick walls that look as though they’ve been worn out by time. 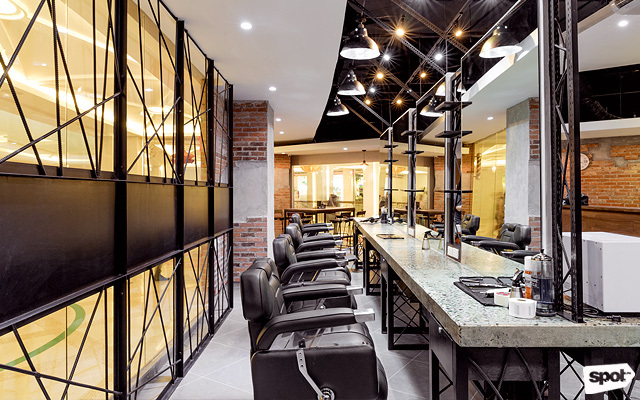 It also features a lot of concrete, bricks, metal, and wood finishes that give the establishment the typical man-cave vibe of snazzy barbershops. In lieu of a lounge area, however, is a work table with lots of power sockets. It’s a little bit like a co-working area, so it’s perfect for anyone who’s always busy and on the go. 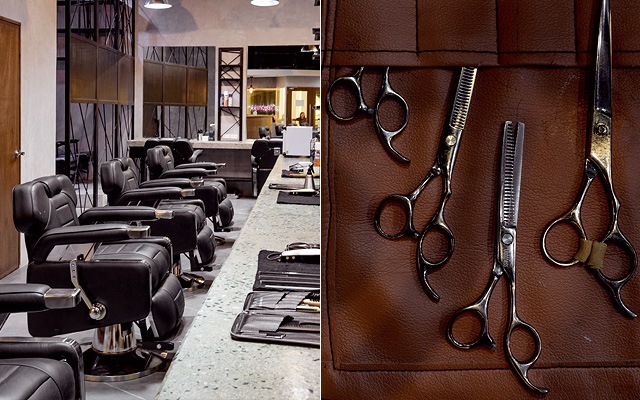 Big Boss Barbers' signature service is The Big Boss (P380), which includes a haircut, a rinse, a hot towel, ear cleaning, a face cleanse, a back massage, blow dry, hairstyling, and a complimentary beverage. 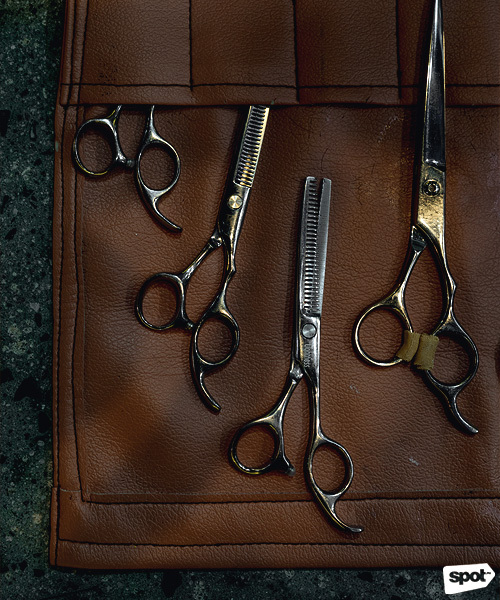 Their barbers all have 15 to 20 years of experience in the industry so you’re assured of the skill and service they provide. They can give you a fade, a tapered cut, a skin fade, a bald fade, or whatever style you want to try next! They even have an iPad dedicated to beard styles, so you can pick and show your barber just exactly how you want your beard to be sculpted. 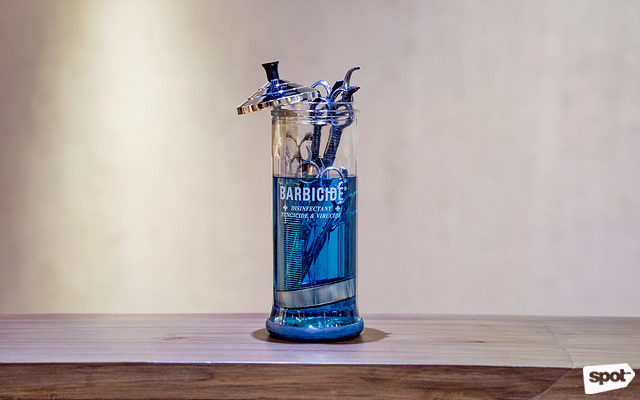 It’s also one of the few barbershops that does a proper facial—with a steamer and pricking. But even better is the massage. Unlike others, its massage is completely silent but just as, if not more, relaxing. Other services include a shave (P450), manicure (P200), pedicure (P220), foot spa (P300), eyebrow shaping (P250), threading (P220), back and scalp massage (P300/25 minutes), hand and arm massage (P250/20 minutes), foot massage (P220/20 minutes), among others. They even have other packages like the Big Boss Face Shave (P780), Big Boss Beard Sculpt (P780), Big Boss Mani/Pedi (P750), Big Boss Hair Color (P2,400), Big Boss Hair Spa (P1,400), and Big Boss Anti-Dandruff (P1,500). 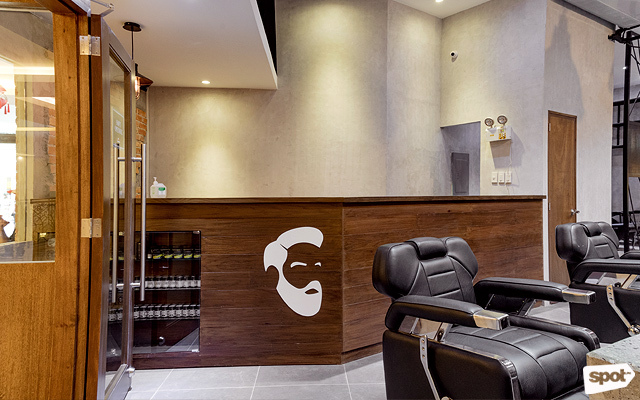 You'll be happy to know that Big Boss Barbers values hygiene. They disinfect all their tools such as combs, clips, and cutting shears by soaking them in Barbicide, plus they change blades after every use. You can be sure that everything here is squeaky clean. For now, Big Boss Barbers carries Man, Mould, and Suavecito pomades. 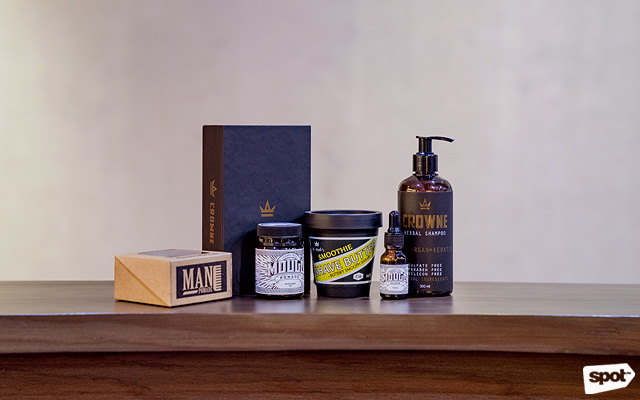 Man is the first and only BFAD-approved pomade in the country and has perfume, herbal shampoo, and shave butter. 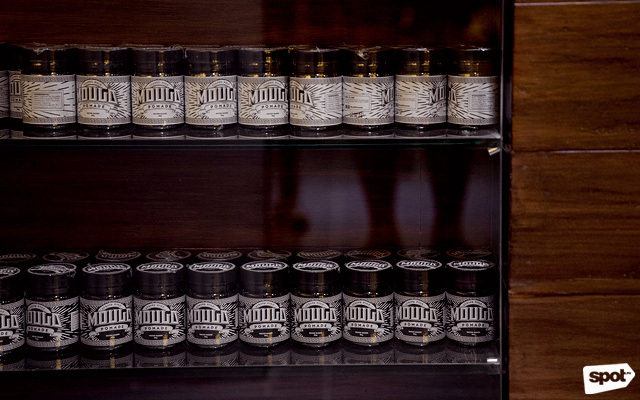 Barber jars are available for you to choose from, so don’t be afraid to ask your barber which one best suits your preferences for finish, hold, scent, and base. 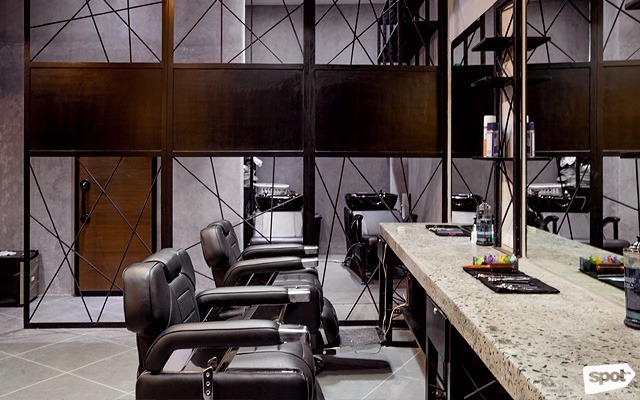 Big Boss Barbers is the perfect place to destress after a long week at work. 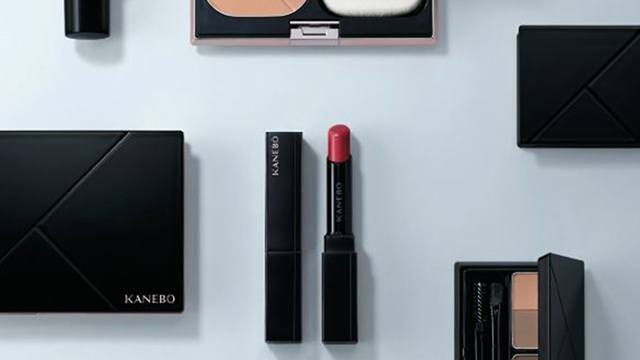 Treat yourself here, because you deserve it, big boss. Big Boss Barbers is at 2/F Venice Grand Canal Mall, McKinley Hill, Taguig City. They’re open from 11 a.m. to 11 p.m. (Monday to Friday) and 10 a.m. to 11 p.m. (Saturday and Sunday). For bookings, contact Big Boss Barbers 0917-837-2677 or message them through their Facebook page.